Navigaation tulostus kesti 1.332 seconds. Oulu University of Applied Sciences' Admission Services handles all applications and guides prospective students to apply for studies at Oulu UAS. * A telephone call to the Admission Services from Finland will cost a normal local network charge or a mobile call charge. When calling from abroad your teleoperator will charge an international call charge. Office hours of the Admission Services are Monday–Friday 9.00–14.00 Finnish time. In addition you can contact us by phone between 9.00–15.00. 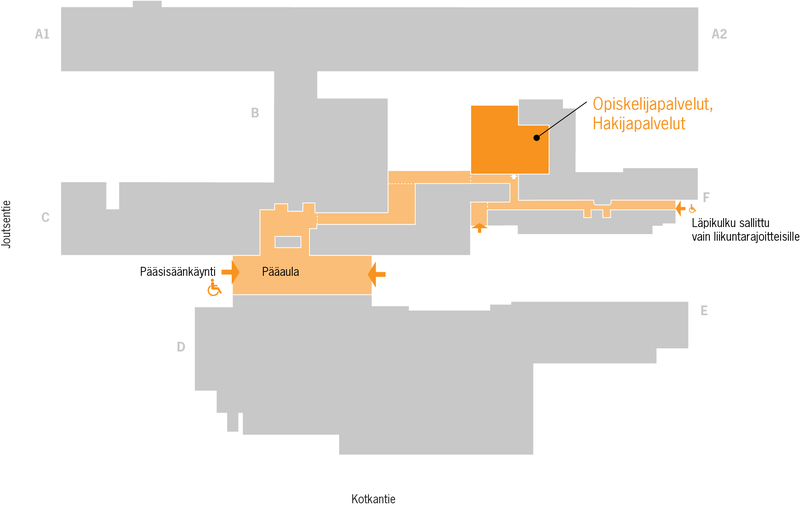 Visiting address: Kotkantie 1, 90250 Oulu. Postal Address: P.O. BOX 405, FI-90101 OULU, FINLAND.